Beauty Care Choices: Tips for keeping your facing glowing in the Winter! Tips for keeping your facing glowing in the Winter! Did you know that skin loses up to 25% of its ability to hold moisture in winter months? The cold, dry air during this season steals moisture from your skin, leaving it looking dry and lifeless. And not only that, but many comforts we naturally seek in cold weather such as long baths, hot showers and even the heat sources in our home all contribute to further drying our skin, making it look dull and feel rough. Change up your skin routine when colder weather strikes and enjoy a winter glow. Exfoliate. Exfoliation is a first crucial step to quenching thirsty dry skin as dry skin buildup on the surface of skin can prevent moisturizers from penetrating. 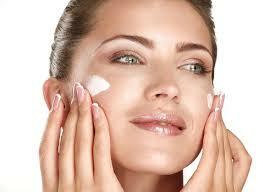 By exfoliating away the dead skin on the surface, it allows your moisturizer to absorb better. Use the right Mask. If your facial skin is uncomfortably dry, avoid using harsh peels, masks, and alcohol-based toners or astringents, all of which can strip vital oil from your skin. Instead, find a cleansing milk or mild foaming cleanser, a toner with no alcohol, and masks that are "deeply hydrating," rather than clay-based, which tends to draw moisture out of the face. And use them a little less often. Moisturize. During the winter your face is the part of your body that is most exposed to cold weather, causing it to lose moisture the most. A rich moisturizer with the appropriate balance of ingredients that add and lock moisture in the winter will help to better retain your skin’s moisture and make it feel soft. The best time to moisturize is shortly after cleansing, Lightly pat your face dry using a towel and then apply moisturizer liberally to your skin. Do this in circular motion to encourage blood flow. The very best facial skin products are at Beauty Care Choices!